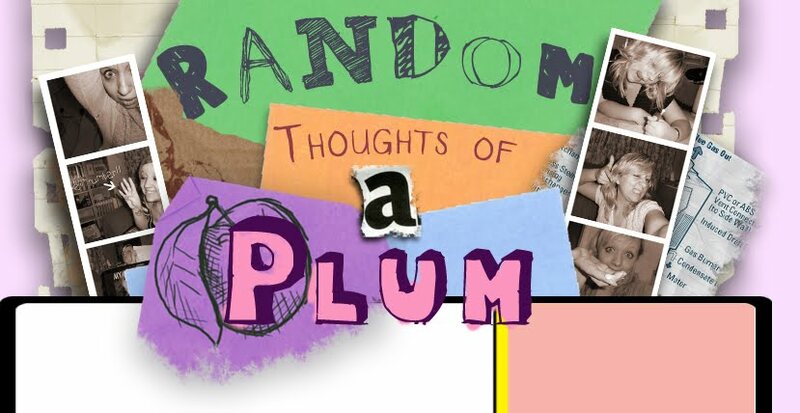 random thoughts of a plum: I have a weight loss plan! I shall not fail! I'm gaining weight people... I have a bridesmaid dress to fit into and I'm gaining weight. Needless to say, the past couple of days has led to a fairly freaked out version of me desperately searching for something my budget will allow me to do that constitutes as exercise and doesn't involve any outdoor stuff... I'm very much an indoorsy type of girl. I've researched gym memberships and have found one fairly cheap near me, although once I worked out how much everything would cost after I bought some workout clothes to go with that gym membership, I soon gave up that dream. Then today it hit me... in my teens, when thigh gaps were a way of my life and I used to stroke my flat youthful belly with pride, I was a pretty kick arse swimmer. I am 100% a waterbaby... in the literal sense, I was born on a tiny island just off England called Guernsey, and spent my first years living on an even tinier island next to it, called Alderney. For an idea of scale, here's a map. You might not be able to read it, but that teeny dot above Guernsey and Sark? Yup, that was home for me for the first 3 years of my life. I genuinely believe that my first years being surrounded by all that sea has had some kind of deep seeded effect on me. There is nothing more soothing for me than listening to the ocean and being anywhere near the water, despite the majority of my life being spent in our Capital city and away from the coast. Seriously, when I was little and we used to go on holidays to Devon and Cornwall (both coast based places), I used to spend ages sitting in front of the ocean and convincing myself that I could control the waves. Yup, I was that special child who would sit on her own for hours and be able to entertain herself. In these instances, I would call out to the ocean things like 'make the waves large' or 'make the waves small' and, the way I remember it, 9 times out of 10 the waves did exactly as I asked. Now, I appreciate that this probably wasn't the case and my memory has warped it over the years, but whatever happened, it happened enough times to mean that I well and truly convinced myself I was in charge of the ocean... which, of course, led to my believing that this meant I was secretly a mermaid and that King Triton was waiting just under the surface of the water for my return home, which then led to my insisting on swimming with my feet crossed over for about a year, so that I could get used to the feeling of swimming with a fin... I'm sure none of you will be surprised to know that I spent my childhood obsessed with the movies The Little Mermaid and Splash. I scared easily as a child, but water was never one of those things that scared me. I freaking loved the stuff. When I got older, and my parents had to work over the weekend, they would drop me and my brothers off at our local swimming pool for a couple of hours and I would swim lap after lap. Then I got older still, worried about what the chlorine would be doing to my hair, knowing that if it dried it out any more than it already had 'I would just die' and packed in the swimming. With the exception of the odd holiday, I haven't really done it since. Therefore, I have discovered my solution to my losing weight problem. I shall swim, I shall swim and swim and swim some more, and it will be glorious. I shall become an olympic standard swimmer the likes of which will make Michael Phelps look like a beginner. I have found a swimming pool near me and I have located a swimming costume that is cheap and cheerful. I shall try to ignore the fact that it is a public pool and therefore likely to be pee ridden, I shall just keep my mouth closed and may even invest in one of those nose plugs, and then I shall look at myself in the mirror and laugh at how ridiculous I look in said nose plug. This is the plan. The glorious life changing plan that will save me from having to resort to going to my brother's wedding naked for lack of dress that fits. Tonight it begins, straight after work... I should probably shave my legs first, thinking about it, but straight after that! Plan made!! Wish me luck!